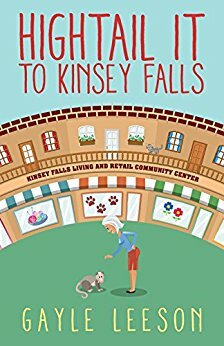 Thank you for being part of the book blast for “Hightail It to Kinsey Falls” by Gayle Leeson. I’d very much love the opportunity to read this book. Thank you for hosting me today, Brooke! I like the color and design of the book cover. I think that I will like the characters in this story. This sounds like it’s going to be such a good series! I love the premise behind it.